Chilengi, J., Karlshausen, G. 2013. 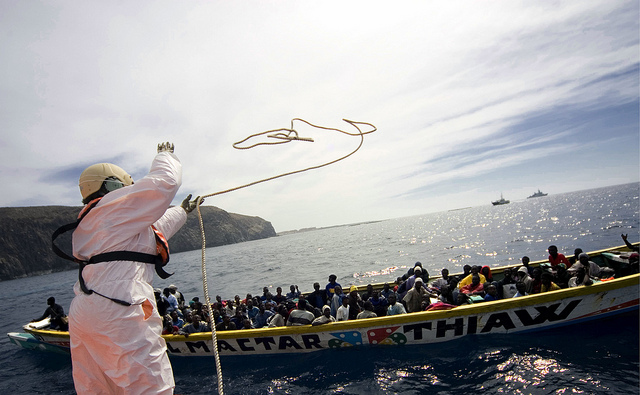 Joint Africa – EU Strategy: Two continents, one civil society movement. GREAT Insights, Volume 2, Issue 6. September 2013. Maastricht: ECDPM. Representatives of the African and the European CSO steering committees for the Joint Africa-EU Strategy, summarize in this article the way Civil Society Organizations are trying to enhance citizen voices and participation within the Strategy. 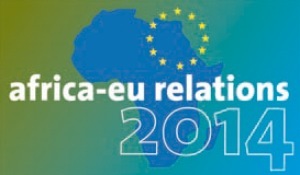 In December 2007, at the second Africa-EU Summit in Lisbon, the Heads of State and Government of the 53 African countries and of the 27 members of the European Union (EU) adopted the Joint Africa-EU Strategy (JAES), outlining key elements of their partnership, based on principles such as equality, the unity of the African continent, and interdependence. To implement the policy commitments as stated in the JAES, Africa and the EU adopted a first Action Plan (2008-2010) that focused on eight thematic partnerships. These are peace and security, democratic governance and human rights , trade, regional integration and infrastructure; objectives of the Millennium Development Goals, food security, health and education, energy, climate change, migration, mobility and employment, science, information society and space. Building on the lessons learned during the first three years of implementation, a second Action Plan (2011-2013) was adopted at the third Africa-EU Summit, held in Tripoli, Libya in 2010. From the outset, the JAES has taken into account the active participation of the civil society, especially regarding the eight thematic partnerships mentioned. Civil society participation was materialised through the setting up of two steering committees, with the support of the Commissions of the African and European Unions. The European Steering Committee took as an option to include a range of interacting networks who were working on the relationship between the two continents and representing different issues of importance for the effective implementation of the partnership. These include development cooperation organisations that are active in the field of governance and human rights, labour, promotion of peace, environmental issues and youth active in social matters. The European Committee works on a flexible basis and is mainly dedicated to the coordination and the follow-up of thematic issues of the partnership as well as ongoing evaluation of the strategy itself, which is far from having fulfilled its promises. Correspondingly, the Africa Civil Society Organisation (CSO) Steering Committee was constituted through an election process at the annual CSO consultations of the JAES. The Africa Committee is reviewed every two years. The members of the Steering Committee provide the link between CSOs and the JAES process and each lead CSO for each partnership is responsible for mobilising CSOs on their respective continents towards the JAES process. It also ensures the participation of CSOs in the implementation of the JAES plan of action. It meets once every year to consult with the wider CSO constituency in Africa and receives policy direction before the next consultation. Both committees communicate regularly and seek to meet periodically. This was particularly the case during the first week of the Africa-EU civil society held in Cairo in November 2010. The Committee sent a joint appeal to the official Summit of the Heads of State and Government, meeting that month in Tripoli. Since 2012, the two committees have begun to share their analysis and work together on three interrelated aspects of the strategy. The first is the evaluation of the strategy, especially regarding strategic partnerships underway. The second is the reform process of the strategy as proposed by the European institutions and currently under discussion between the African Union Commisson and the European Commission. The third is the preparation of the next EU-Africa summit scheduled for early April 2014 in Brussels. In this context, two preparatory committees were set up by the steering committees: they have already met three times in March, May and July. They designed the programme of a forum which is expected to meet in Brussels from 24 to 26 October 2013, bringing together 40 selected delegates selected respectively from both continent on the basis of criteria of representativeness and expertise. The Forum of the Africa-EU civil society, which has received support from European and African Commissions pursue two main objectives. The first is to make contributions to the reform process of the strategy currently being negotiated and which is expected to be adopted at the Summit of 2014. This will include ensuring that civil society becomes a significant player in the new mechanism which will be established. It is expected to make the strategy, not only a mechanism for cooperation between state institutions, but also a place of involvement of affected populations in both continents. But the preparatory committees also agreed on six topics on which they want the Forum to send loud and clear messages to the institutions in order to have an impact on their political orientations. 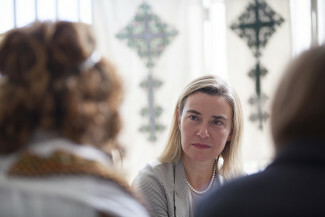 These themes, which concern both Africa, Europe but also the relationship between the two continents, are migration, food security (including the issues of climate change and agriculture), social inequality, peace, security and governance, democratic participation, human rights and transparency as well as trade and sustainable investment between Europe and Africa. Two other themes will be reflected in all the debates: gender and natural resources. The outcome of the Forum will be presented to representatives of African and European institutions at the end of the meeting but will also feed into the intense advocacy work between the Forum and the Summit where the two committees also hope to speak. It is essential that the civil society on both continents is associated with the reform strategy. It is also important that the civil society finds its place and play an active role that allows it to have a real impact on the direction the strategy will take. It would be a similar effort at parliamentary level. These dynamics will lead to mechanisms involving parliaments and civil society in a renewed strategy. The disappearance of written proposals in the new European thematic partnerships should, for example, not be at the expense of the latter’s participation. For that, it should include more information to parliaments and to the civil society of both continents in order to address the current lack of transparency in the decision making process. All of this also involves the allocation of human and financial resources as well as the implementation of flexible mechanisms that allow a real and effective participation. In addition, the civil society on both continents would like to see efforts focusing on a strategy for political dialogue and confidence-building, based on shared values ​​and common objectives identified. As often repeated, it can not be an EU Strategy for Africa, but an opportunity to discuss the problems faced by the two continents in their respective policies and in their relationship. For instance, migration, governance or climate question are issues of importance both for EU and African citizens and policymakers. In many areas, Europe and Africa can learn from each other. It is also important that the JAES shows its appreciation and its complementarity with other existing instruments like the Cotonou Agreement and the European neighborhood policy with the Southern Mediterranean countries. Thus it could offer increased synergies between different existing cooperation programs while focusing on areas where the EU and the AU can really bring something new. Limited resources in these times of crisis should avoid duplication of efforts. Both the African and the European civil society are ready to provide their critical but positive contributions to the construction of a new strategy that meets the expectations of the peoples living in the two continents. For this, it requires space, resources and recognition that allows it to be a real actress alongside governments, international institutions and the parliamentary world. Civil Society Organisations (CSO) from Africa and Europe have, since the preparation of the Joint Africa-EU Strategy (JAES) and its Action Plan, expressed their interests in being fully involved both in the implementation and monitoring of the Strategy. CSOs from both continents have extensively commented on the JAES before its approval and from the outset the strategy has taken their active participation into account. Through the setting up of two steering committees, with the support of the Commissions of the African and European Unions, civil society participation was materialised. These committees communicate regularly and seek to meet periodically in order to ensure that civil society has a real impact on the direction the Joint Africa-EU Strategy is taking. The European and the African steering committees are flexible platforms to gather networks representing a wide range of issues related to EU-Africa relations and topics of common interest. Both committees remain open to include various actors such as networks representing the African diaspora in Europe or organizations dealing with specific issues like education, health or agriculture. Trusting that EU-Africa strategy could constitute an important tool to enhance the dialog between the two continents in the future, the steering committees try to fuel a promising dynamic between CSOs in Africa and Europe. Joseph Chilengi is a member of the African CSO steering committee. 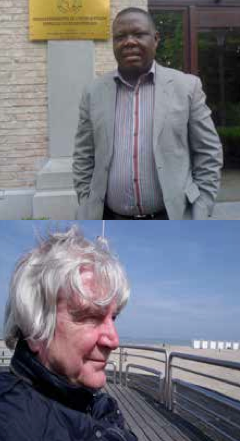 Gérard Karlshausen is a member of the European CSO steering committee.